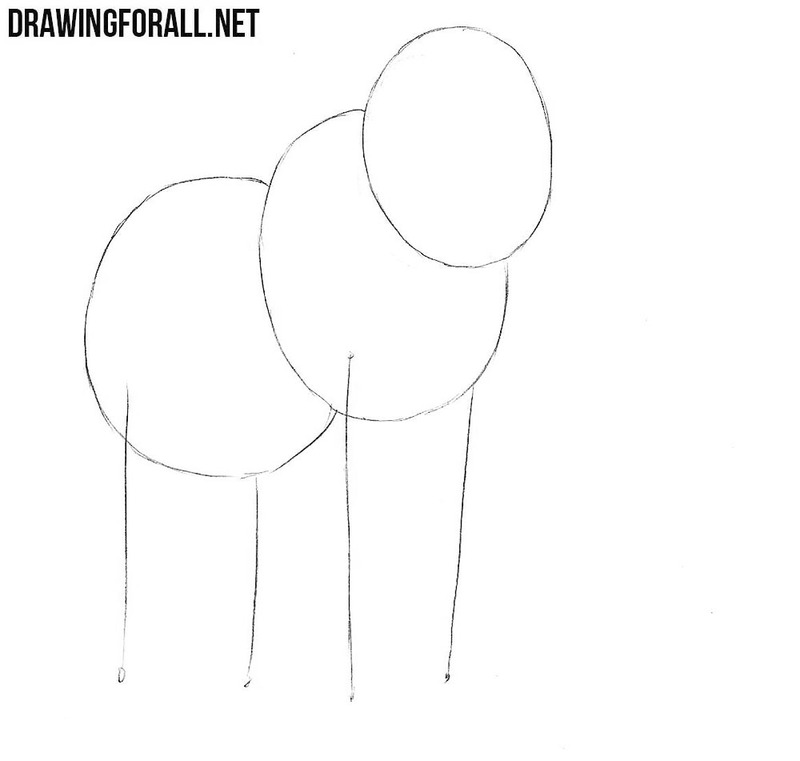 Hello dear artists and welcome to drawing tutorial about how to draw a mammoth step by step. Mammoth is a extinct genus of mammals living in the Quaternary period, from the family of elephants. They reached heights of 5.5 meters and body weight 10-12 tons. Thus, mammoths were two times heavier than the largest modern land mammals – African elephants. First sketch out the head and torso of our mammoth in the form of large ovals. 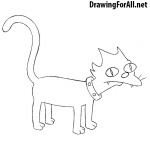 Draw the long and straight limbs. 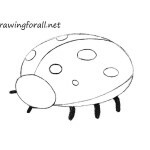 In the first steps you should not press too hard on a pencil. In this step we continue using very light lines. 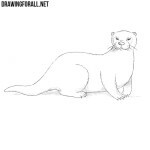 Sketch out the long trunk and the intersecting lines on the head. Make the legs thicker. 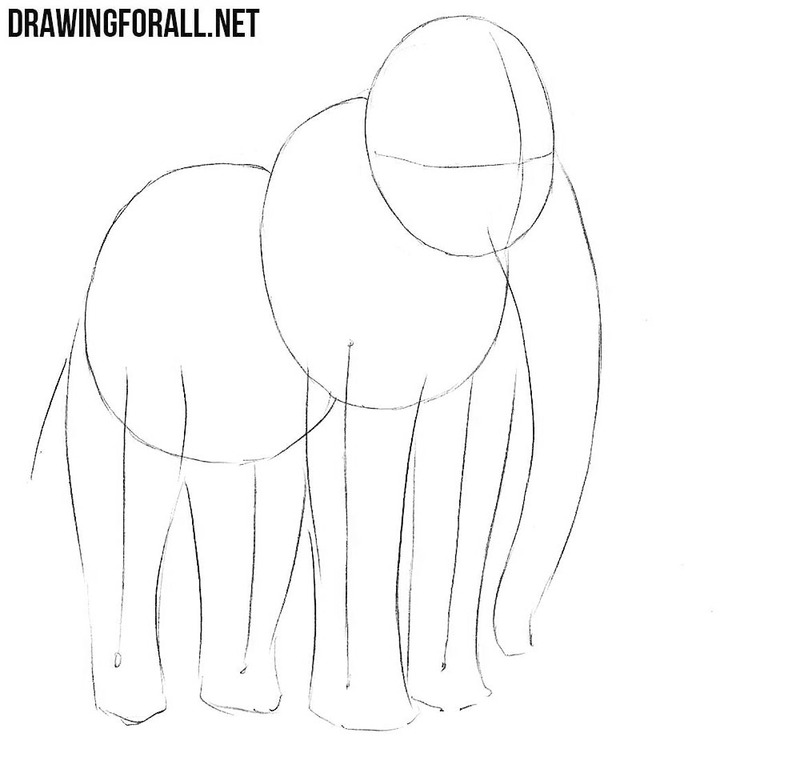 Connect the figures from the first steps and form shapes of the body of our mammoth. 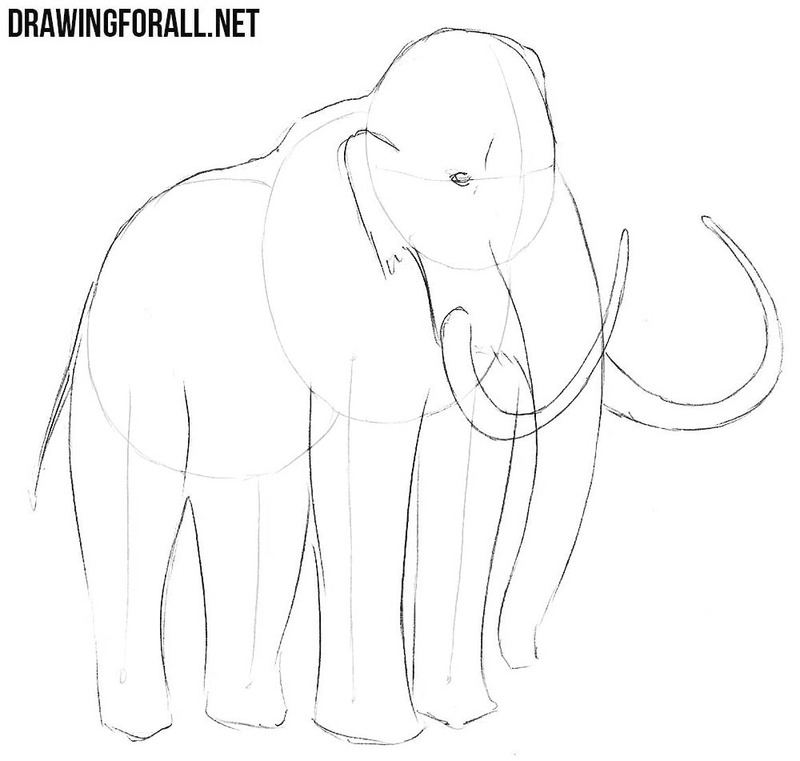 Draw the ear, eye and tusks. Now erase all unnecessary guidelines from the head. 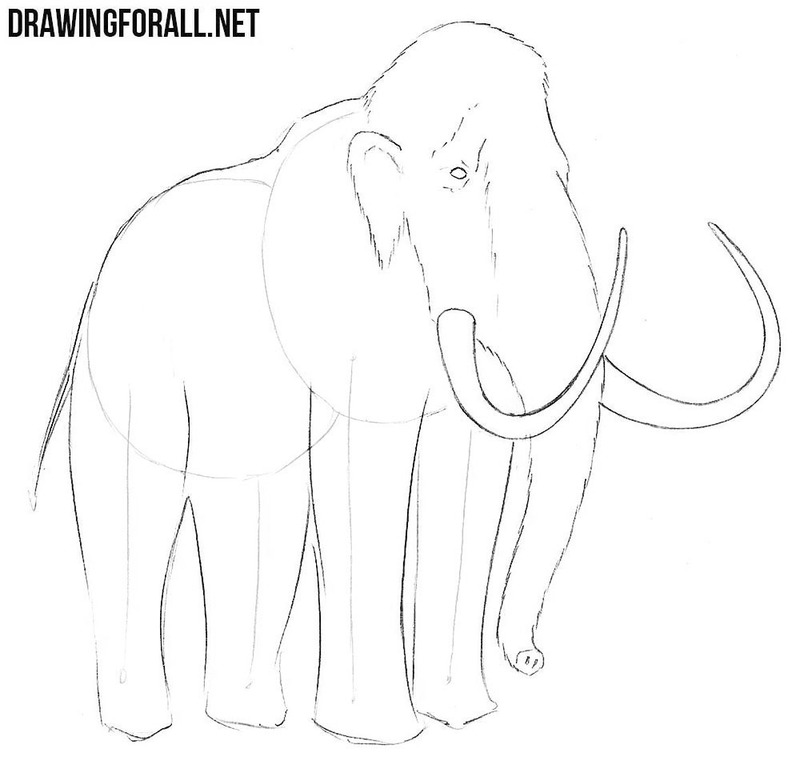 Make the lines fluffy, since mammoths was very hairy. 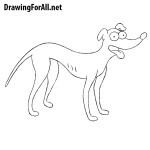 In the same step draw the the nostrils. Erase remaining guidelines from the body of the mammoth. Draw the fluffy lines of the torso and limbs. Don’t forget to draw fingers and nails. 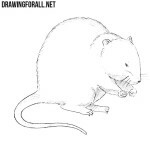 Note that the front legs should be longer than the rear legs. Paint the eyes black and start adding shadows. 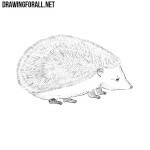 We often use classic hatching for shadows, and this lesson is no exception. 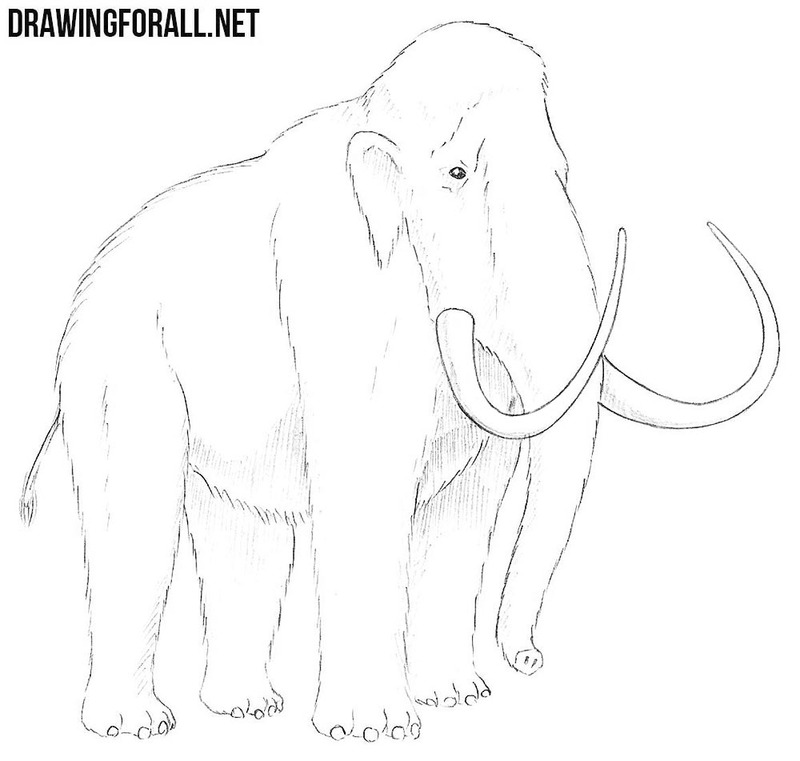 In fact, at the end of the lesson on how to draw a mammoth, we should get a drawing of a very hairy elephant. Fortunately or unfortunately the mammoths have long been extinct and in real life we will never be able to see them (unless scientists can clone them). 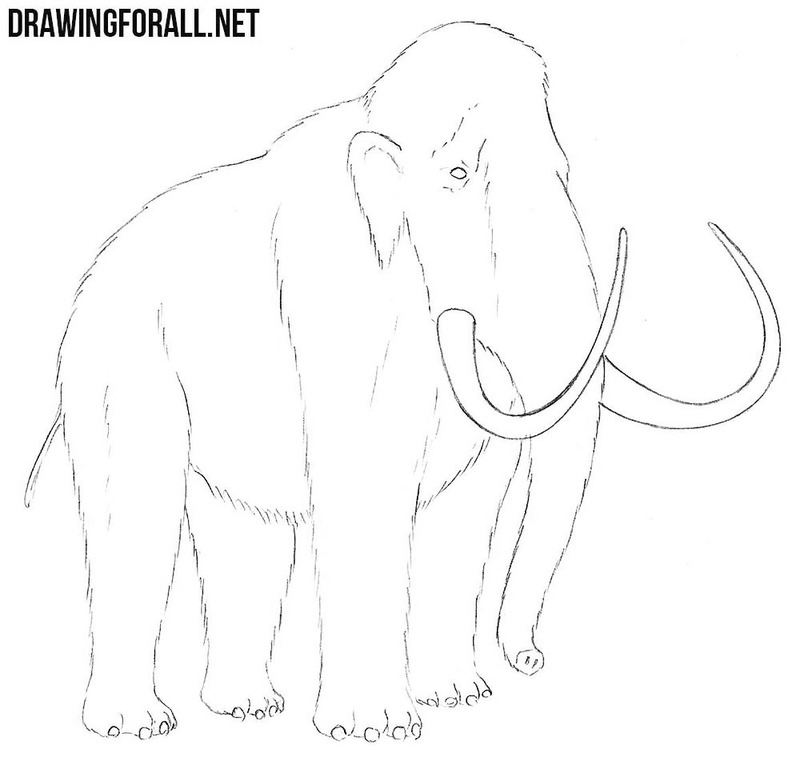 However, you can create mammoths on a sheet of paper using our drawing lesson.